Welcome back to Vintage and Thrift Hunting this is Post #3. I am so happy you’re here and can’t wait to share with you my latest thrifty and auction finds! Quick recap: Since one of my favorite pastimes is vintage and thrift hunting, I’ve decided to start a regular feature here on the blog about the fun and interesting things I find whether I am scouring thrift stores, garage or tag sales, antique markets or estate auctions. Even though there is still snow on the ground Auction season has begun and for me so did the fun. Since my last post I’ve been to two auctions and I have to say I found some awesome items. Who remembers these? I grew up in a household with the one that was mounted to the wall and had a party-line. 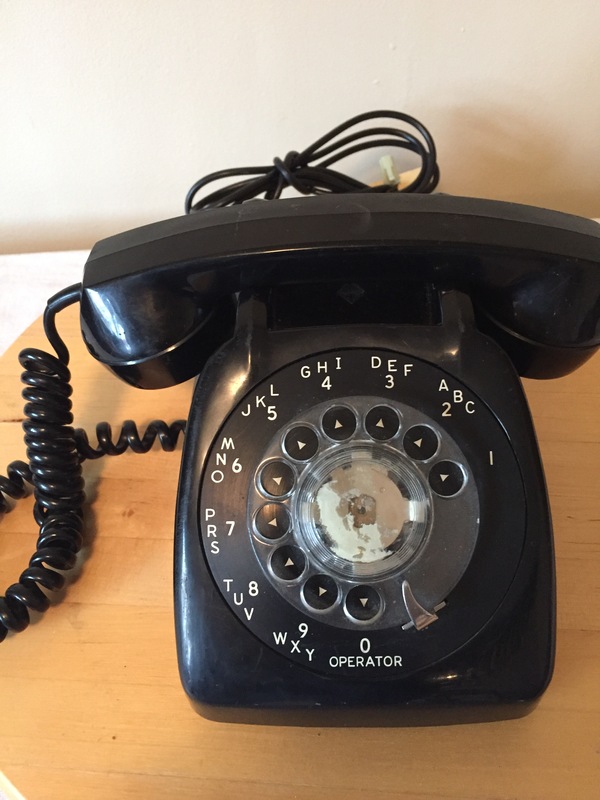 This is a wonderful collectible, black vintage rotary phone. It still works 🙂 I bet a lot of young folks wouldn’t even know what to do with it, ha ha ha! (SOLD). 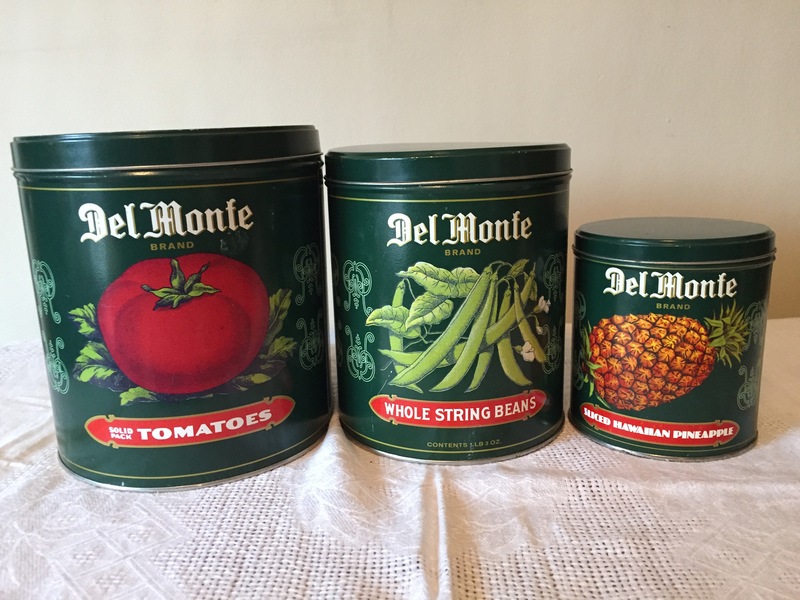 a “Del Monte Brand Extra Quality” on the other side. At one point they held “Solid pack Tomatoes”, “Whole string beans” and “Sliced Hawaiian Pineapple”. These would look great on display in a country kitchen or a restaurant. A definite collectible (SOLD). 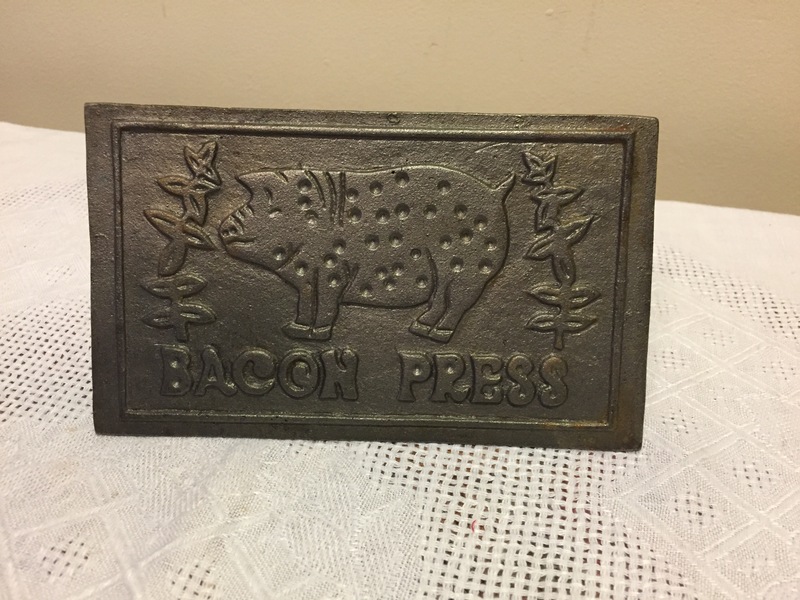 Check out this vintage cast iron bacon press. It has a wooden handle and it is in excellent shape and required very little cleaning to make it shine. I love the embossed pig and flowers on the bottom. These are great not only for cooking bacon but also doing burgers. Or it could just be a great display piece. (SOLD). That’s all for this post and I hope you come back next time as I still have lots more to share with you. I do sell some of the items I buy, sometimes I repurpose them, mostly I don’t because I like them just the way they are. If the item is for sale, I will mark it available and if it’s not for sale you will see these initials NFS. I will put a link below to my selling site if you are interested. 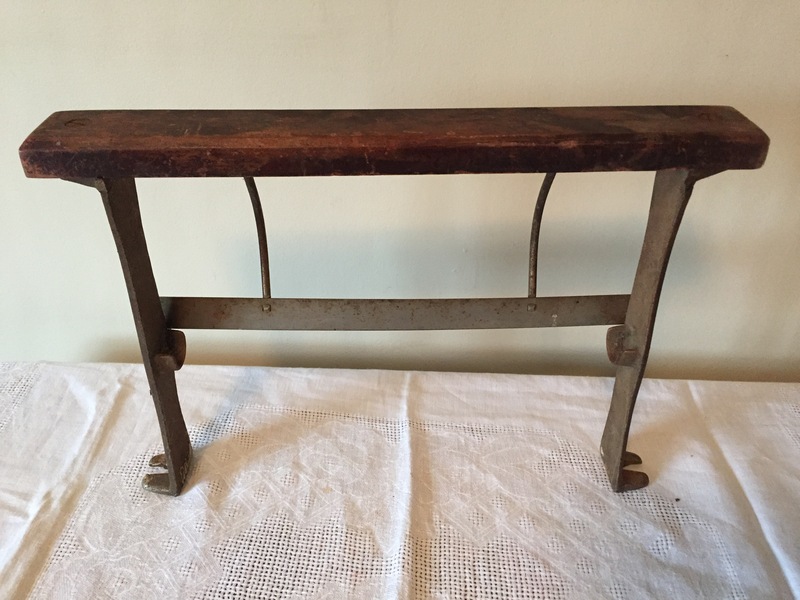 This entry was posted in Decorate, vintage and tagged antique, bacon press, collectible, Decorate, del monte, display, Egg, home, old, paper cutter, repurpose, restaurant, reuse, rotary dial, simple, spice, telephone, thrift, thrift store, thrifty, tins, vintage. Bookmark the permalink. 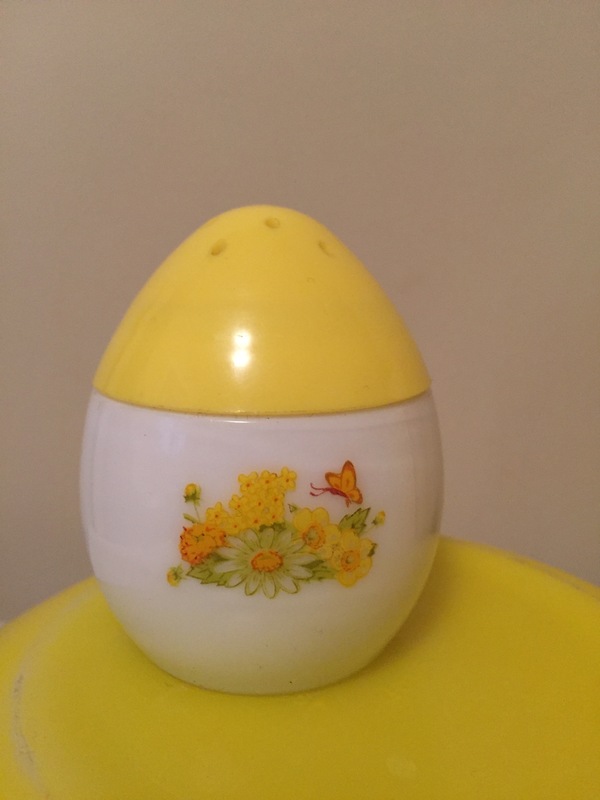 Love the vintage Avon jar. We had a rotary dial black phone attached to the wall in the hallway. I am noticing now people have their cell phones set to ring like old phones! Great finds.